Huge thanks to everyone who contributed to our food-raising concert at Street Quaker Meeting on Friday 28th February. 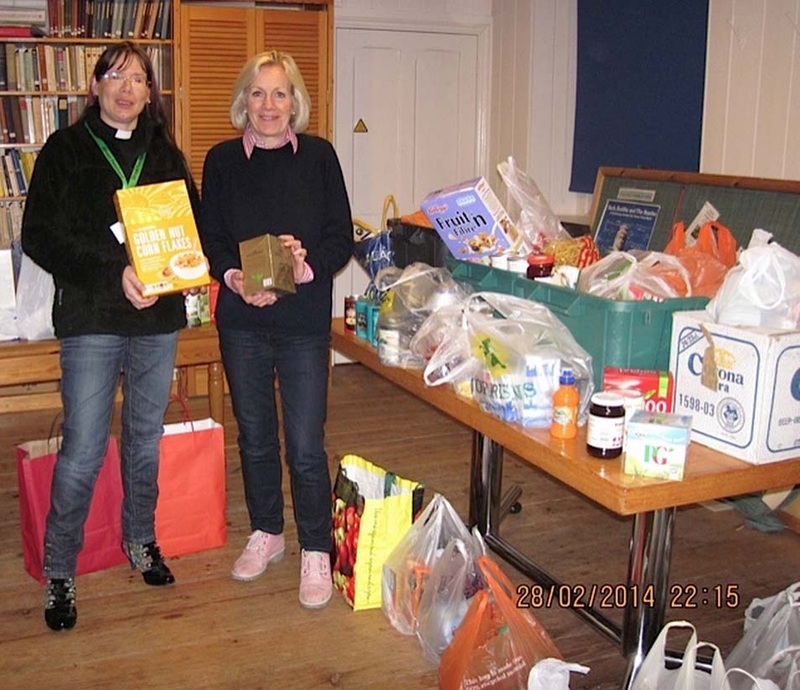 We were completely overwhelmed with everyone's generosity and Street FoodBank were delighted. It took a team of young people to take all the food we collected up to the FoodBank. Thanks too to Tessa Munt, our local MP, who took time out of her busy schedule to come and support our concert. The Meeting House was packed to the rafters and our audience heard a magnificent Cello and Piano concert by Helen Lunt and Carolyn Doorbar and then enjoyed the story of eight Buddhist Monks visiting Glastonbury in the film 'Chenrezig, the Mandala of Compassion' (YouTube link below). Diana Greenfield gave us a moving presentation on the story behind Street FoodBank and reminded the audience of the continuing need for this vital community service. On Friday February 28th Street at 7.30pm Street Quaker Meeting will be presenting a food raising concert for our local Food Bank in Street. The concert will include a cello recital by our own Helen Lunt accompanied by Carolyn Doorbar on the piano. We will be screening the film 'Chenrezig, The Mandala of Compassion' made by local filmmakers Tim Knock and Kevin Redpath. The film follows the visit of eight Monks from Southern India to Glastonbury in December 2011 and the creation and dissolution of a beautiful sand mandala. Including reflections from members of the community, this film celebrates the astonishingly creative work of these Buddhist Monks. Revd. Diana Greenfield, a member of the Street Food Bank team, will talk about the vital work of the Food Bank based at the United Reformed Church in Street. This is a free concert and we hope Friends will be generous in bringing food for us to deliver to the Food Bank. In particular they need: Tea, Coffee, Sugar, tins of meat, UHT Milk, Cereal and tins of tomatoes.